Can Camping Trips Provide A Fun Experience? 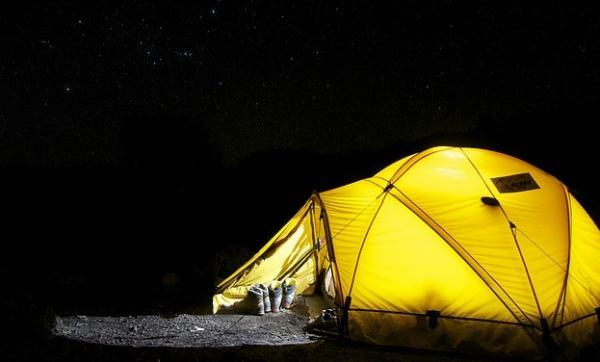 When you tell people about the thrill of spending a night in a tent, with nothing separating you from the great outdoors, except a little canvas, some people suggest that it sounds wonderful. They may think that it seems romantic and rather beautiful. For others, however, the feelings evoked by this scene may be completely different. In fact, there are some who think of camping trips as being somewhat hideous. Instead of considering them as fun, they may concentrate on the negatives. In particular, there may be fears about spending time in a tent during a night of wind and rain. Faced with a tent that leaks and the thought of having to make your way across a muddy field in order to escape to shelter, it all suddenly seems rather less appealing. So is it really possible to enjoy a camping trip? Or should this pastime be left to those who can’t afford to spend the night in a decent hotel? It’s worth pointing out that this is a somewhat unfair comparison. Cooking your own meals on a basic camping stove is, after all, never really like to compare with being served a gourmet meal in a top class hotel. But should you strive to meet the same standards? If you are thinking in this way, then you may rather be missing the point. 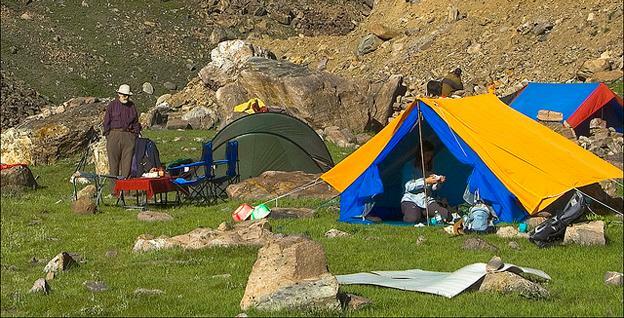 Camping offers numerous advantages and they mainly surround the fact that you are being offered liberation. You’re getting a real taste of freedom. You may not have hotel staff on hand to deal with your every need, but that’s actually a positive in this case. Most people who enjoy camping probably don’t want to be surrounded by hundreds of other people. If the aim of such trips is to get away from it all, then the last thing that you really want is to have them all turning up anyway! Instead, these experiences offer you the chance to get closer to nature. That may seem like an impossible dream, but it really can come true. It’s amazing how much clearer everything becomes when you have the time, the peace and the quiet to be able to appreciate what nature has to offer. Although it may seem hard to believe, for instance, it is true that the stars shine brighter in rural areas. Or, to put it another way, there’s a lot less light pollution. There are plenty of other elements that just seem to be that bit better when you’re outdoors. Life in the city often involves creating our own pace. We may, to a certain extent, depend upon the decisions taken by others. When you’re out on a camping trip, you set the pace. It’s likely that you’ll be guided by natural elements. But what about the wind and rain? The key to having a successful trip is to do a little planning at the outset. Make sure that you’re prepared for all weather conditions. If you take your planning seriously, you’ll find that you really can enjoy the whole experience. Keith Barrett the author of the “Can camping trips provide a fun experience?” is a camping accessories specialist. He enjoys camping trips in the Midwest, and abroad.